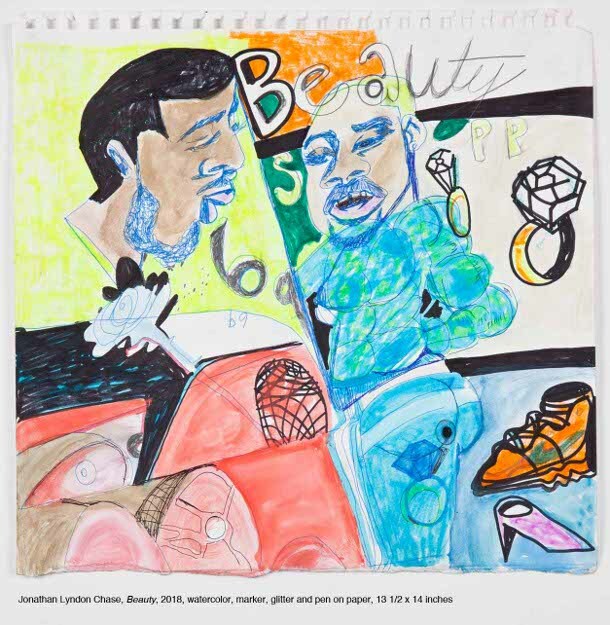 Los Angeles, California – Kohn Gallery is currently presenting “Sheets,” a solo exhibition of new work by Philadelphia-based artist Jonathan Lyndon Chase. This marks the artist’s inaugural exhibition with the gallery and is his first solo presentation in Los Angeles. Through contorted figures and fractured compositions that float seamlessly between historical and contemporary styles and references, Chase portrays a form of self-expression that puts human touch at the forefront of his art. 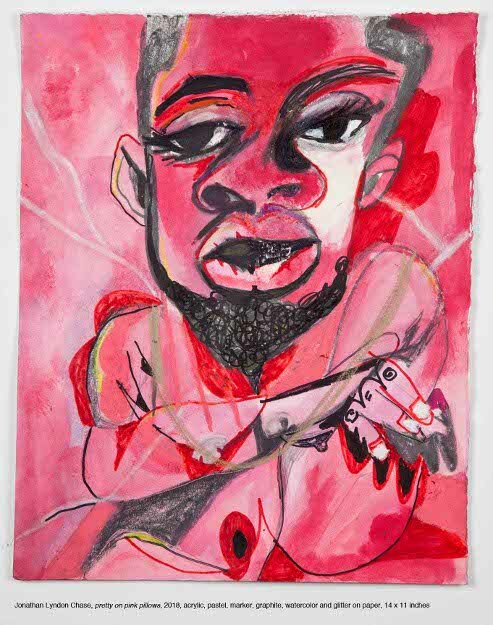 His powerful figurative paintings highlight the daily lives of black queer men and the difficulties faced by defining one’s identity as such in contemporary society. Chase’s engagement with the black figure is complicated and multifaceted. He is often fixated on the duality of emotions and experience. It is important that contrasts exist between the mood of his characters and their environment. This focus on depersonalization brings awareness to the experience of struggling to unite different components of gender identity and psychosocial adversity, especially within the black community. Drawing from his everyday experiences, Chase examines the relationship between space and gender as social constructs; the ways in which gender identity is affected by our immediate environment and the dominant societal norms that exist within that space. For “Sheets,” Chase delves further into this idea of gender performativity, using spatial obscurity as a means of protecting his autobiographical subjects from the trappings of ethno-cultural stereotypes and societal expectations. Chase (b. 1989, Philadelphia, PA) lives and works in Philadelphia. Chase currently has work on display in Reclamation! Pan-African Works from the Beth Rudin DeWoody Collection at The Taubman Museum of Art, Roanoke, VA. 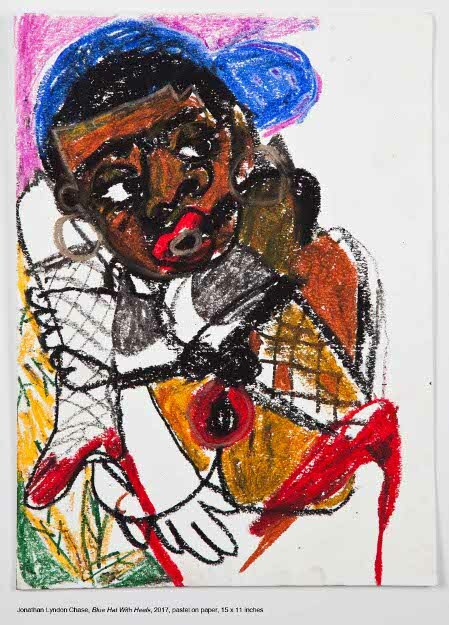 Previously, his work has been included in exhibitions at the California African American Museum, Los Angeles,CA (2017); Woodmere Art Museum, Philadelphia, PA (2017); The Bunker, Collection of Beth Rudin DeWoody, Palm Beach, FL (2017); and the Pennsylvania Academy of the Fine Art, Philadelphia, PA (2016). 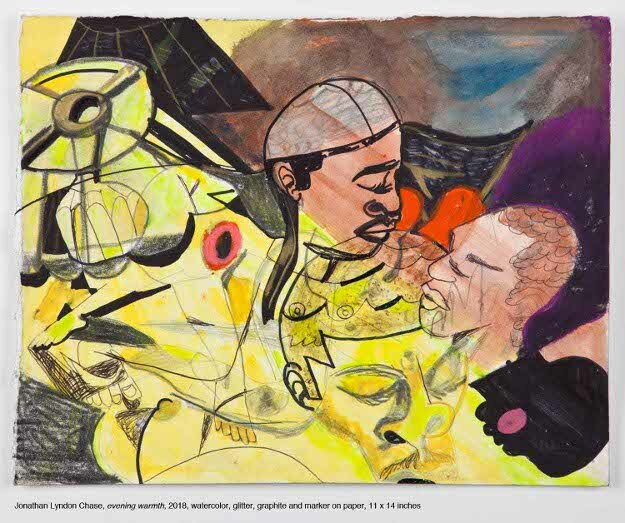 Chase’s work resides in numerous private and public collections throughout the world, including the Pennsylvania Academy of the Fine Arts, Philadelphia, PA; The Woodmere Art Museum, Philadelphia, PA; The Wedge Collection, Toronto, CA; and the Beth Rudin DeWoody Collection. It would be so great to be the part of like these great exbitions.